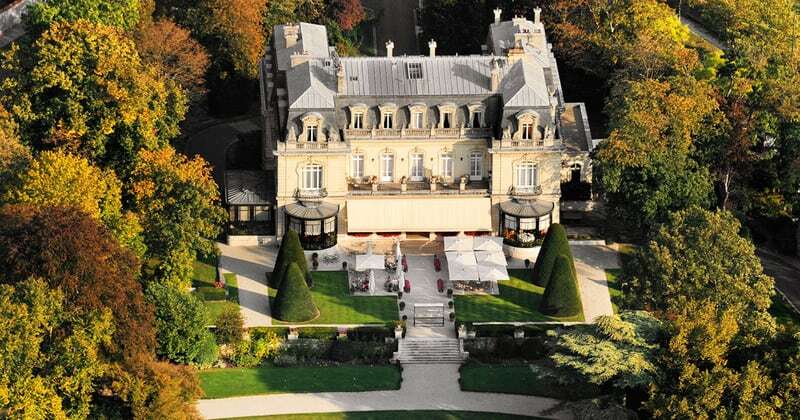 Les Crayères was built in 1904 as a palace for Champagne royalty by the Pommery family. Each room is unique, and decorated in the finest fabrics and furnishings. The Château’s celebration of the elegance and grandeur of Champagne is reflected in the true luxury you will experience during your stay. A mini haven, nestled within 17 acres of stunning grounds, yet just 1½ miles outside of the centre of Reims, the Château offers guests elegant sophistication in a tranquil setting. Some rooms reveal stunning views of Reims Cathedral through the chestnut, fir and maple trees which encircle the château- a feature devised by Madame Pommery herself. The hotel is adjacent to (and probably on top of) the cellars of Champagnes Pommery, Veuve Clicquot and Ruinart. The hotel enjoys facilities that imply the height of luxury, a wonderful terrace and “rotonde” bar ideal for relaxing at the end of a hard days tasting, stunning meeting rooms and excellent tennis facilities. 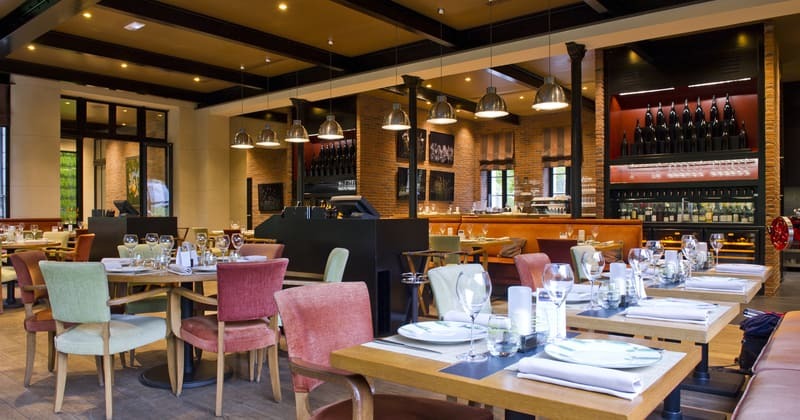 The restaurants at Château les Crayères act as the jewel in its crown. 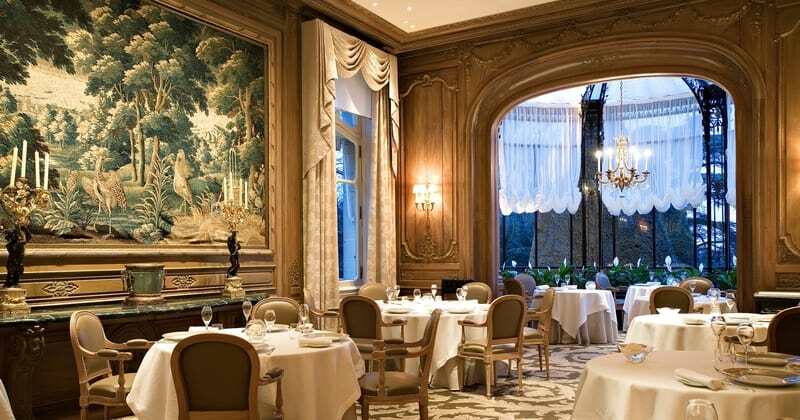 Double Michelin-starred ‘Le Parc’ is headed by celebrated Chef Philippe Mille, and is arguably the best restaurant in the region, with a wine list featuring in excess of 600 Champagnes! For a less formal atmosphere but still fabulous cuisine, ‘Le Jardin’ Brasserie has established the perfect balance between splendour and comfort. With just 20 rooms, 17 of these are in the Château itself and the others in a private cottage within the grounds. Château Les Crayères offers four different levels of room which increase in size, from Premium to Prestige, each offering unique and sumptuous decor. Every room is air conditioned, with tea and coffee making facilities, minibar, cable television, DVD player, complimentary WIFI access and direct dial telephones. 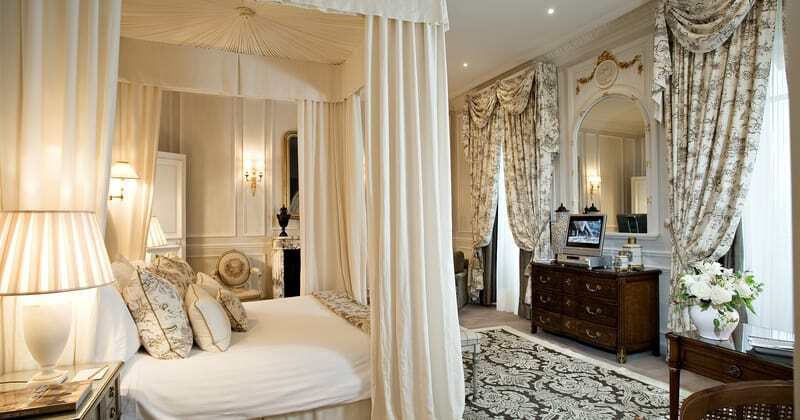 Premium rooms are located on the sides of the Château, and the bathroom is with bathtub only. Those opting for the Superior rooms will find them to be more spacious, with bath and shower. For a more vast and decadent room, the Deluxe and Prestige options offer a view over the beautiful grounds (either park or courtyard), and have a bathroom with bathtub and separate shower as well as a separate toilet.